What’s on this electronic fetal monitoring strip? Obstetrical practice carries some unique risks. Staff in an obstetrical unit care for two patients: a mother and fetus or infant. They are responsible for the safe care of each of these vulnerable people. Birth injury cases have the potential for creating life-long losses and disability. Catastrophic injuries may occur with little advance warning. Obstetrical cases are dangerous for the defense. Juries tend to respond with sympathy when they hear of the injuries a newborn suffered. There are a large number of medical malpractice suits filed involving obstetrics and gynecology. Obstetrics ranks first among all specialties for the number of claims reported and for the total amount of money paid, according to a study by Physician Insurers Association of America. Other specialties with high numbers of claims include internal medicine, general and family practice, and orthopedic surgery. A high percentage of these claims result in payment to the plaintiff. And read Obstetrical Medical Malpractice Cases – Prevention for the latest risk prevention strategies. 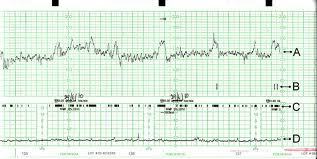 Both nurses and physicians may fail to read the electronic fetal monitoring correctly. Nurses receive more training in learning how to read electronic fetal monitoring after graduation than they do in their nursing program. But they need ongoing and updated training as the technology changes. • Inexperienced or distracted labor and delivery nurses may fail to recognize nonreassuring fetal patterns. • They may not use critical thinking to see the pattern of deterioration in the fetus. • They may be assigned to several women who are in labor at once or pulled out of the patient’s room to attend to someone who is in need of attention. Some physicians and midwives who deliver babies have not had adequate training in reading electronic fetal monitoring or may misinterpret or overlook signs and symptoms. Med League supplies expert witnesses for obstetrical and other types of medical malpractice claims. Contact us for help with your next case. © 2016 Med League, Legal Nurse Consultant, All rights reserved.